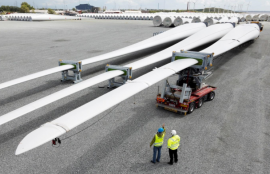 Towne Lifting & Testing, a member of NOF Energy, has expanded its contract scope with Siemens Gamesa after its new lifting concept used during turbine pre-assembly operations in Hull, the UK, proved successful. 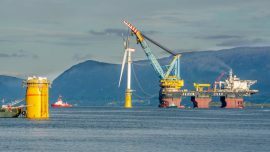 Subsea 7 has expanded the organisational structure of its Renewables and Heavy Lifting (RHL) Business Unit, which serves the offshore energy sector. 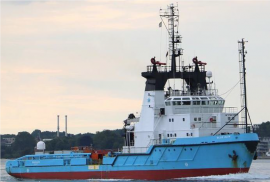 The move came a few months after the company acquired Siem Offshore Contractors. 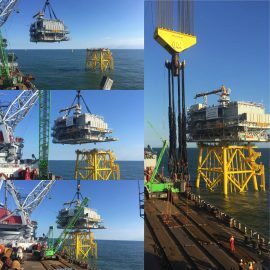 Seaway Heavy Lifting (SHL) has secured a contract to install the Offshore SwitchYard (OSY) platform for Elia’s Modular Offshore Grid (MOG) project in the Belgian North Sea. 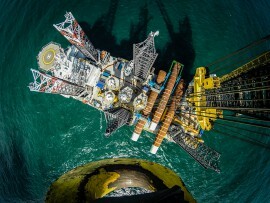 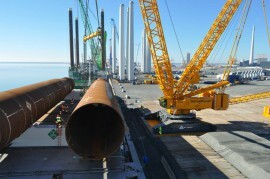 Seaway Heavy Lifting (SHL) has installed the 86th and final four-pile set at the Beatrice offshore wind farm site. 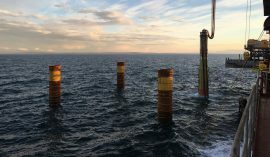 SHL carried out the piling work with the heavy-lift vessel Stanislav Yudin, which will now re-mobilise for jacket foundation installation. 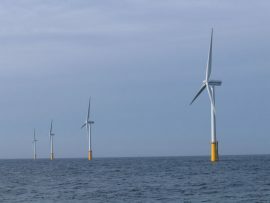 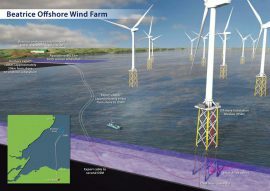 The Carbon Trust-led Floating Wind Joint Industry Project has issued a tender to investigate the feasibility and technology development needs for heavy lift offshore operations in a floating wind farm. 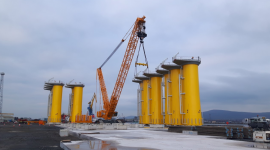 Seaway Heavy Lifting (SHL) is set to commence the first pre-lay grapnel run campaign at the Beatrice offshore wind farm site to clear the inter-array cable routes from debris and prepare them for cable installation. 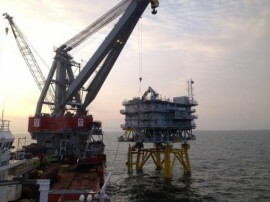 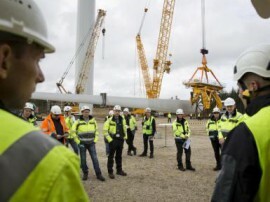 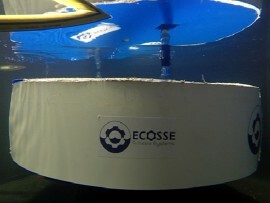 Getting the supply chain to work in such way that there are no delays in offshore works is the main trick of the business for an EPCI contractor, according to Richard den Hollander, Business Development Director at Seaway Heavy Lifting (SHL), the company currently working on the Beatrice offshore wind farm in the UK. 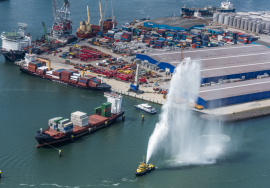 Rhenus Logistics has officially opened its new quay and has added a new harbour mobile crane at the Deep Sea Terminal on the Maasvlakte in the Port of Rotterdam. 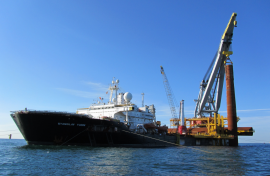 The U.S. President Donald Trump last week signed a new executive order that asks for a review of the oil and gas drilling bans imposed by the Obama administration. 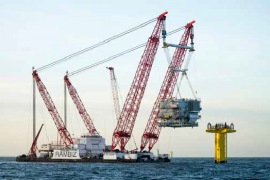 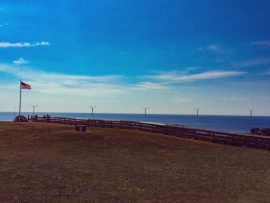 Seaway Heavy Lifting (SHL) has awarded the German engineering company Recase Regenerative Energien GmbH with a contract to design electrical equipment for the transition pieces of the 203MW Trianel Windpark Borkum II offshore wind farm. 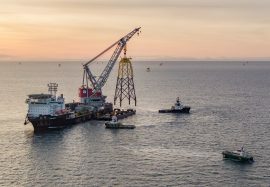 Eneco Offshore Wind B.V. has invited tenders for offshore transport and lifting services during what the company described as ”major component replacements” at the 120MW Princess Amalia Wind Farm (Prinses Amaliawindpark). 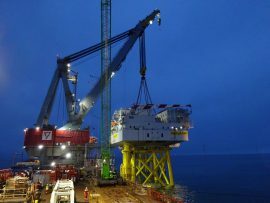 Subsea 7 acquired 50% stake in Seaway Heavy Lifting (SHL) from K&S Baltic Offshore (Cyprus) on 10 March. 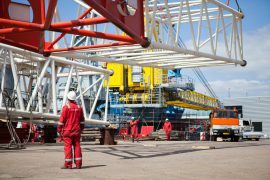 SHL was a joint venture company in which Subsea 7 held a 50% interest, hence the company is now a wholly-owned subsidiary of Subsea 7. 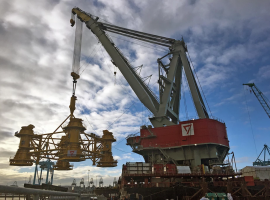 Monday 6 March saw the delivery of the purpose built 700 tonne Pile Installation Frame (PIF) to the Rhenus Logistics Facility in Rotterdam, ahead of deployment to the 588MW Beatrice offshore wind farm site in Outer Moray Firth, Scotland. 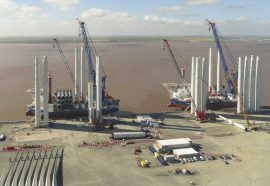 Van Oord Offshore Wind Projects has contracted the heavy-lift specialist, Schmidbauer Group, to handle the heavy load logistics for the foundation components of the 660MW Walney Extension offshore wind farm in the UK. 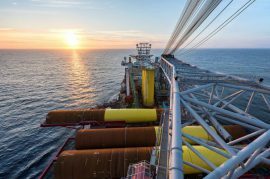 Subsea 7 informed today that it had made an offer to acquire the 50% shareholding in Seaway Heavy Lifting (SHL) currently owned by K&S Baltic Offshore (Cyprus). 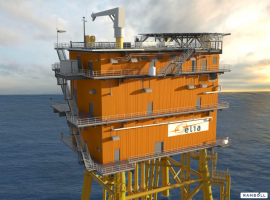 If the offer is accepted, Subsea 7 would become the sole owner of SHL, since it already holds a 50% interest in the company.